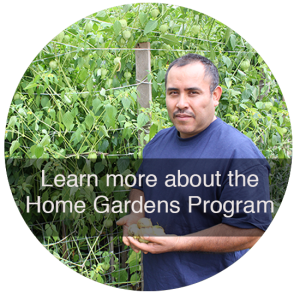 The Home Gardens Program supports fresh food access by providing the resources, education and support for families to grow food for themselves, friends and neighbors right outside their doorstep. With the help of hundreds of volunteers, Growing Gardens installs backyard garden beds for families and individuals in our program. 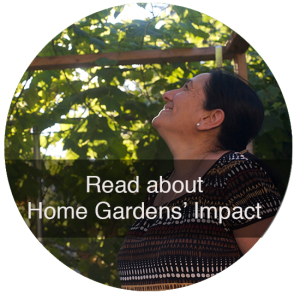 Each household is enrolled into a three year support program which includes seeds, plants, compost bins, tools, soil amendments and education through experienced volunteer Mentors, educational newsletters & workshops. Special thanks to Annie Beedy for photographing our gardeners! 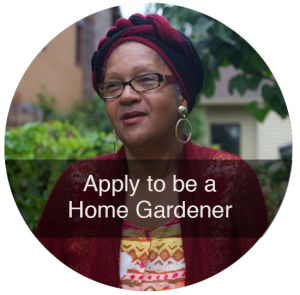 Please consider making a gift to Growing Gardens today. We appreciate your help in fulfilling our mission.